Cycling fans are in store for a wheelie great weekend at Kielder Water & Forest Park ahead of the OVO Energy Tour of Britain coming to the region. 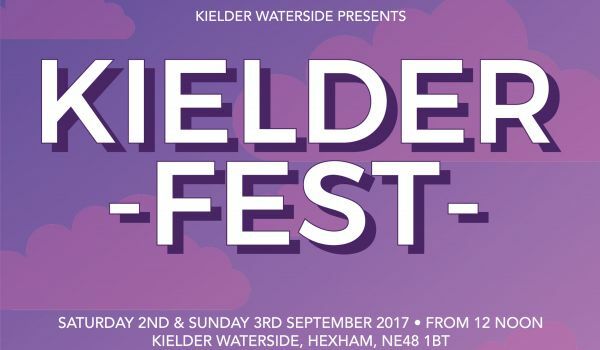 In preparation for the UK’s biggest and most prestigious cycle race coming to Northumberland, Northumbrian Water is holding its first ever ‘Kielderfest’ at its Kielder Waterside site. The two day cycle themed festival will take place on Saturday, September 2, and Sunday, September 3, is free to attend and includes live music, street food and a whole host of cycling related activities and events to help get people of all ages and abilities in the mood for the big day on Monday. A pop up velodrome cycling track being run by the team at Street Velodrome. Festival goers will be able to challenge themselves on the track and get tips and advice from the pros. Stunt performances and shows by the world record holding 3Sixty Cycle Stunt Team. A number of live bands will be playing on a main stage over the two days including; Groove Allstars, Glen Roughead, Diablo, High Tide, Shaka and The Sublimes. Outdoor ‘deck chair’ giant HD cinema on the banks of Kielder Water showing Back To The Future on Saturday night and Grease on Sunday night. There will also be mountain bike coaching sessions, pop up street food stalls and a full range of GO ACTIVE activities including Water Walkers, Crazy Carts, Crazy Trikes, Hoverball Archery, Crossbows and Segways. David Hall, Head of Leisure, Strategy and Transformation at Northumbrian Water said: “We are well and truly getting into the spirit of the Tour of Britain with KielderFest and have an action packed weekend of events planned for guests, visitors and cycling fans. “People will be in for a real treat with fantastic local food stalls, live local bands playing on our main stage and superb entertainment and hands-on demonstrations from the likes of Street Velodrome and the 3Sixty Cycle Stunt Team. “KielderFest is completely free to attend and everyone is welcome to join us, whether it’s for one day or the full weekend. We have accommodation available at our luxurious new lodges but there is also a park and ride operating for visitors. Northumberland County Councillor Cath Homer, cabinet member with responsibility for leisure said: “This promises to be a fantastic weekend of free family entertainment to celebrate the arrival of the Tour. Kielder Water is the most beautiful of settings and I'd urge local residents to go along and get involved." The second stage of the OVO Energy Tour of Britain cycle race will start at 10:15am on Monday, September 4, on Kielder dam, before traveling through the heart of Northumberland, passing through 28 communities and covering 117 miles of the county. For more information on KielderFest visit www.kielderwaterside.com or Kielder Waterside Facebook page. Postcode for parking at the Kielder Waterside site on the day is NE48 1BT and the car park is just across from the Waterside site. There is park and ride service available for visitors.